Dr. Alex Ferro was born in Cuba and moved with his family to Miami as a newborn. He was raised in Miami, Florida where he completed high school. He is fluent in Spanish. Dr. Ferro completed his internship at Mount Sinai Medical Center, Chicago Medical School. He subsequently completed an Obstetrics and Gynecology residency at Mercer School of Medicine, Memorial Health University Medical Center in Savannah Georgia. During his training he received numerous awards including the American Association of Gynecologic Laparoscopists “Special Excellence in Endoscopic Procedures, The Organon Award for “Outstanding Research in Women’s Health and the Berlex Best Teaching Resident Award. He also was one of only 2 residents physicians in the country who presented his original research at the South Atlantic Conference for Obstetricians and Gynecologist. He has numerous publications in peer reviewed journals including the very prestigious American Journal of Obstetrics and Gynecology. He is a junior fellow of the American College of Obstetrics and Gynecology and a Fellow of the International College of Surgeons. He currently is a clinical instructor and faculty member for the PA programs at Barry University and Miami Dade College. He maintains a successful private practice at Mount Sinai Medical Center in Miami Beach, Florida. He has special training in minimally invasive pelvic surgery, advanced laparoscopy and complex pelvic surgery. He is an avid tournament and big game fisherman and an FAA certified instrument rated pilot. 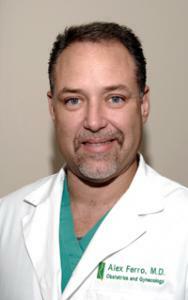 Dr. Ferro has two wonderful children with whom he enjoys outdoor activities under the beautiful South Florida sun. We are pleased to announce the opening of our new OB/GYN practice at Mount Sinai Medical Center on Miami Beach. 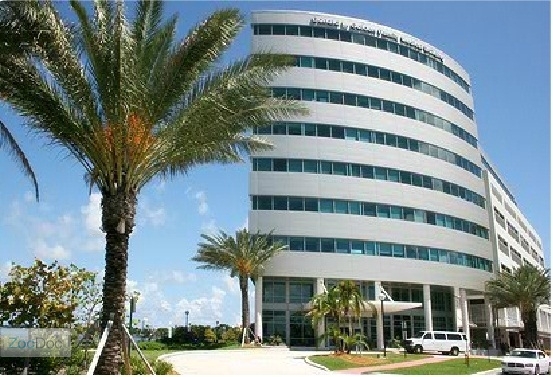 Mount Sinai Medical Center has the award of being the "Best Hospital in which to Give Birth in Miami-Dade County," by the readers of South Florida Parenting Magazine for the past two years in a row and its maternity unit is supported by a state-of-the-art neonatal level III intensive care unit (NICU), which offers the highest level of care possible for infants born prematurely or with conditions that require special medical attention. We are currently welcoming new patients and most insurances are accepted. OB contracts are also available.